Serena Williams just showed the world her new engagement ring and it's huge. 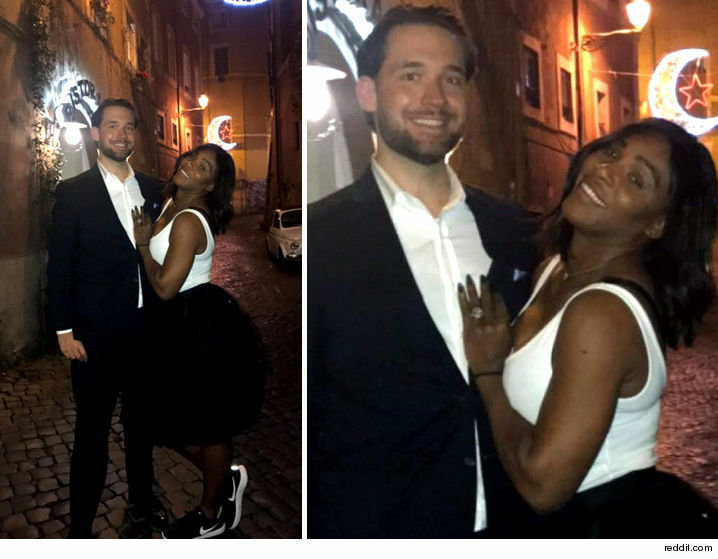 She just posted a photo of herself and fiancé, Reddit cofounder Alexis Ohania and while it's not a super closeup of there new ring, you can tell she's sporting some serious bling. The couple announced their engagement last week but somehow the massive diamond hasn't been seen before, until now.